This conference aims at expanding the geographical and thematic scope of degrowth discussions, as well as building dialogues with critical social theories, sciences and social movements. Malmö is a perfect city to host such a conference. Vibrant and mixed, but also relaxed and down-to-earth, it has a strong presence of alternative forms of organising and a varied cultural and grassroots life. We want this conference to further consolidate these and act as a platform for mutually enriching dialogues among groups from around the globe striving for a better world. EN: The First North-South Conference on Degrowth will be held in Mexico City, supported by universities, NGOs, and social movements. It will be an occasion to open and continue in-depth debates around the dominant illusions on economic growth. These are already ongoing debates inside and across the societies that are on their way to become modern and developed as well as those ‘excelling’ in these aspects. 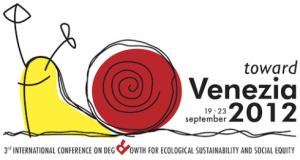 For the first time, a Latin American country will host an international gathering on Degrowth, after five conferences in Europe and one in Canada. Decolonization of the imaginary, Survival, Cultures, and Wealth will be the main issues under discussion. ES: En 2018 tendrá lugar la Primera Conferencia Norte-Sur sobre Degrowth, México 19-21 Junio 2018, apoyada por entidades universitarias, ONGs y movimientos sociales de este país, con el propósito de abrir y dar continuidad a debates de gran calado en torno a las ilusiones o quimeras dominantes sobre el crecimiento económico, de las sociedades en camino de la modernidad y el desarrollo y las sociedades que sobresalen en estos aspectos. Por primera vez, un país Latinoamericano servirá de sede para debatir los temas del Decrecimiento, después de cinco conferencias en Europa y una en Canadá. Serán temas centrales de esta conferencia: la Descolonización del imaginario social, la Supervivencia, las Culturas y la Riqueza. A post-growth conference supported by various stakeholders (Members of the European Parliament from different political groups, academics, NGOs and unions) will take place in the premises of the European Parliament on September 18-19 2018, coinciding with the 10th anniversary of the collapse of the US Bank Lehman Brothers that sparked the economic crisis in which we are still trapped. Future conferences: If anyone is interested to organize future international degrowth conferences, please do not hesitate to contact the Support Group. The SG is the official promoter of the International Degrowth Conferences. It is composed by people who have been highly involved in the local organizing committees of the previous international conferences. These days, the degrowth movement is not interested in provocation anymore. Instead it wants to stimulate discussions amongst the people who believe that it is possible to decolonise our minds. 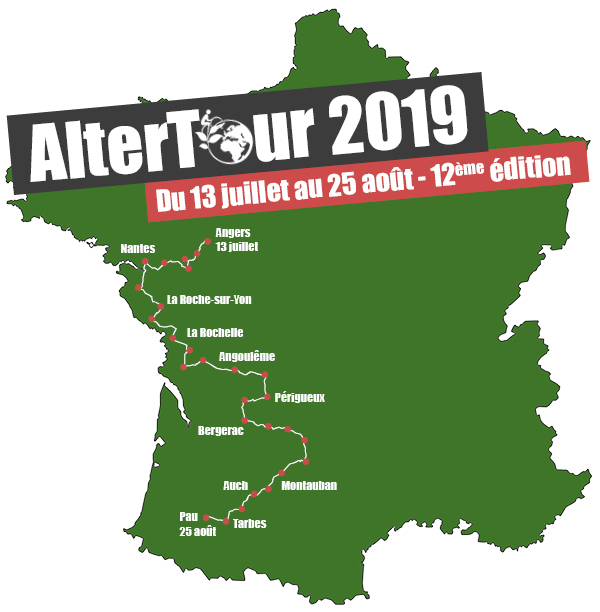 Vincent Liegey, the coordinator of the latest Degrowth Conference says that the movement’s impact is already visible in many party programmes. Published on September 26, 2016 on the Green European Journal. Green European Journal: What is your experience as a degrowth campaigner? Has degrowth, as a concept, become more acceptable in intellectual and political circles in the last few years? Who were those people? The establishment? Our quarrels were mainly with the productivist left, but not exclusively. We also had disagreements with the pro-growth (green growth) Green movement and the Green capitalist movements. Three years ago people like Daniel Cohn-Bendit still called us crazy. For many years it was almost impossible to question growth on the Left, because growth was seen as the precondition of progress, as well as the solution to poverty and inequality. In those years we really had to fight to be covered by the media. We were never invited to any economics panels, and most Green parties did not want to have anything to do with us, even though they used to think quite similarly in their early days. Fortunately, in the last few years it has improved. What led to the improvements? Le 1er Espace « décroissant » au Forum Social Mondial ! Le comité décroissance conviviale annonce ses activités pour le FSM à Montréal. Grande première dans l’histoire des Forums Sociaux Mondiaux, le premier comité « décroissance conviviale » s’est créé à Montréal à l’occasion du FSM 2016 qui aura lieu du 9 au 14 Août prochain. Celui-ci parcourra la ville dans le but de déconstruire les préjugés envers ce paradigme et le faire connaître auprès de la population. « Faire Réfléchir, Expérimenter et Débattre ». Pour « Faire Réfléchir », un vélo-bibliothèque disponible sur l’espace permettra aux plus curieux de découvrir, à travers ses auteurs fondateurs et ses pensées, l’histoire de ce mouvement. Egalement, une BD a été réalisée afin d’imaginer le monde de la décroissance par l’art. Première édition sur le thème de la décroissance, celle-ci sortira dès le 10 Août prochain et sera accessible sur l’espace tout au long du FSM. Pour « Expérimenter », deux parcours conviviaux à vélo seront proposés, afin de promouvoir des projets alternatifs à Montréal en accord avec les valeursde la décroissance, c’est-à-dire la justice sociale, la soutenabilité et l’autonomie. Enfin pour « Débattre », une grande conférence-débat rassemblera 5 pointures de la décroissance à Montréal. Publié dans Agenda du P.P.L.D., Degrowth, Soutiens du PPLD	| Commentaires fermés sur Le 1er Espace « décroissant » au Forum Social Mondial ! Du 30 août au 3 septembre 2016, se tiendra à Budapest la 5éme Conférence Internationale de la Décroissance. Cette rencontre prévoit de réunir 600 universitaires et pratiquants de la Décroissance autour d’ateliers participatifs et de plénières. 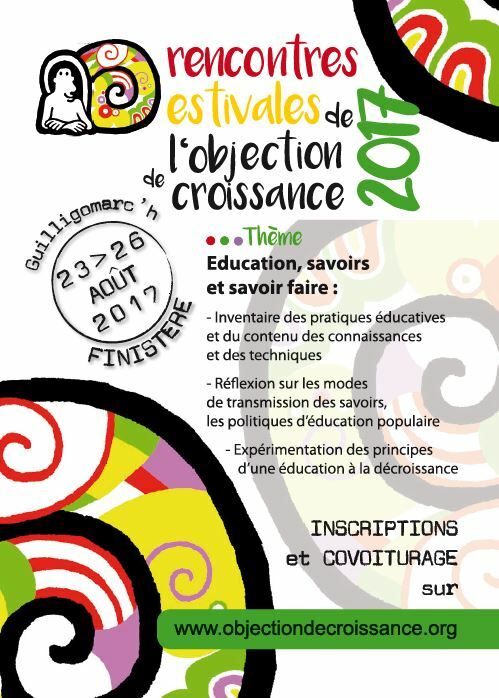 En parallèle, et pour la première fois, un festival ouvert proposera dans toute la ville des ateliers pratiques, des visites d’alternatives où créativité et démocratie participative se mêleront à la convivialité pour imaginer d’autres possibles. La dernière rencontre de septembre 2014 a connu un vif succès à Leipzig avec pas moins de 3400 participants de 74 pays. Depuis, la Décroissance est de plus en plus présente dans les débats académiques, elle s’internationalise et interpelle, propose, suscite des débats sous diverses formes, de manière décentralisée et participative. Dans un contexte historique, social, culturel et politique stimulant, nous vous invitons à venir dialoguer à Budapest aussi bien avec des universitaires que des expérimentateurs, des activistes que des artistes, mais aussi avec la société civile. 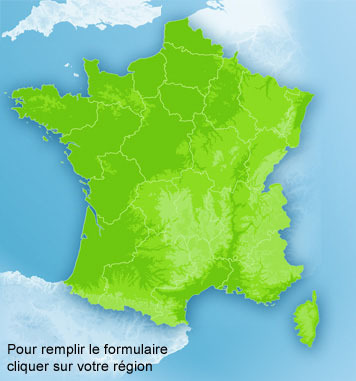 Autour d’une organisation régionale s’appuyant sur un réseau d’alternatives locales dynamiques, diverses approches et perceptions vont se rencontrer autour de discussions sur les relations Nord/Sud ou Est-Ouest, sur les limites de la croissance aussi bien d’un point de vue physique que culturel. Des expérimentations, mais aussi des réflexions, des solutions sur différents niveaux seront proposées, en provenance d’Inde, du Brésil, du Mali, des Balkans ou encore de toute l’Europe de l’Ouest. Partout la question des limites, du bien-être, du sens de nos activités, de la démocratie se pose et partout des solutions sont expérimentées. Rendez-vous à Budapest à la fin de l’été, pour une nouvelle grande transformation, sereine et démocratique, pour de nouveaux mondes soutenables, relocalisés et ouverts, souhaitables, autonomes et conviviaux. 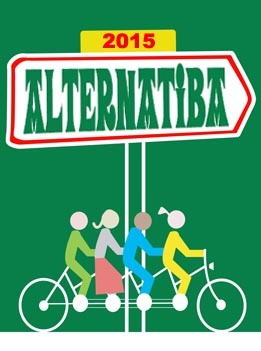 Plus d’informations pratiques sur www.budapest.degrowth.org et dans notre dossier de presse. Pour suivre notre actualité, rejoignez-nous ici. As a peak of our Open Source series, this episode celebrates the birth of Cargonomia, a forward-looking project that blends several socially and environmentally conscious ideas and movements that include Cyclonomia Do it Yourself Bicycle Social Cooperative, Zsamboki Biokert, an organic vegetable farm and sustainable agriculture community education center which distributes weekly vegetable boxes to food communities in Budapest, and Kantaa, a self organized bike messenger and delivery company”. Degrowth and Transition network with Tracey Wheatley and Transition in Hungary. Our last programme was (soon online): Degrowth sources 2: Ivan Illich, Cornelius Castoriadis and André Gorz. With Sara Feher and Vincent Liegey. Thanks Adrien, Logan, Tracey and Radiozora. 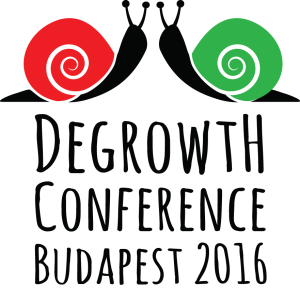 After Paris in 2008, Barcelona in 2010, Venice in 2012 and Leipzig in 2014, the next International Conference on Degrowth for Ecological Sustainability and Social Equity will be held in Budapest in September 2016. The upcoming conference will take place in a post-socialist environment. Starting from this complex social, economic and political challenges faced in the region, we expect fruitful, reflective and interesting meetings and discussions in bringing worldwide degrowth experience and perceptions. The conference will be organised through regional participatory approach, whereby several preparatory meetings will be organised throughout the post-socialist region in order to establish robust dialogues about degrowth in the region. We have already observed the building of this dynamic during the regional meetings in Ljubljana in November 2013, Zagreb in March 2014 Sofia in May 2014, and in Budapest in January 2015. We would like to build on the great success of the last degrowth conference in Leipzig in September 2014, which welcomed more than 3000 participants from 74 countries. 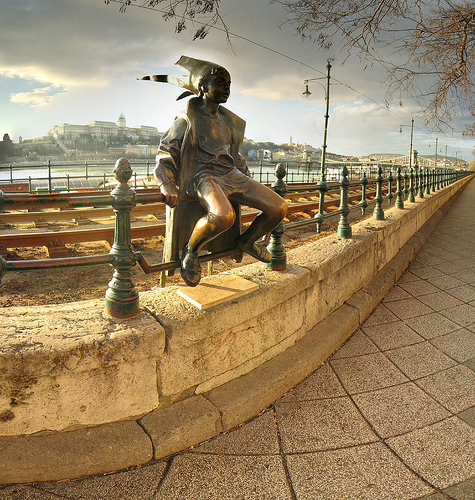 However, this does not mean that the Budapest conference will be as big: we would like to host a convivial conference. A challenge is to orient the conference towards the principle that “small is beautiful”… and meaningful. Lastly, many degrowth thinkers, like Karl Polanyi, Ivan Illich, Nicholas Georgescu-Roegen and André Gorz are from the region. This is why the conference will highlight their work, mainly by returning to the Hungarian author Karl Polanyi and referencing to his work The Great Transformation with opening the question: Can Degrowth draw New paths for a desirable Great Transformation? In theory, growth is needed to pay off debts, create new jobs, or increase the incomes of the poor. In practice, we have had decades of growth, yet we are still indebted, with our youth unemployed and poverty as high as ever. Headed Straight For The Cliff? There Is Another Way! … with a Degrowth project. Headed Straight For The Cliff? There Is Another Way! By Vincent Liegey, Friday, September 26th, 2014, on Reporterre. If we step back and consider the crazy world we live in, it isn’t long before we lose hope… Yet society is full of energy and inventiveness, opening our eyes to new possibilities. Concrete alternatives are being brought to the table every day and they will help build a society whose horizons do not end with profit and competition. Let us stick together, looking forward to the future! Publié dans Degrowth	| Commentaires fermés sur Headed Straight For The Cliff? There Is Another Way! … with a Degrowth project. « A Degrowth Project » : Yesterday’s utopia has become today’s reality! Yesterday’s utopia has become today’s reality! 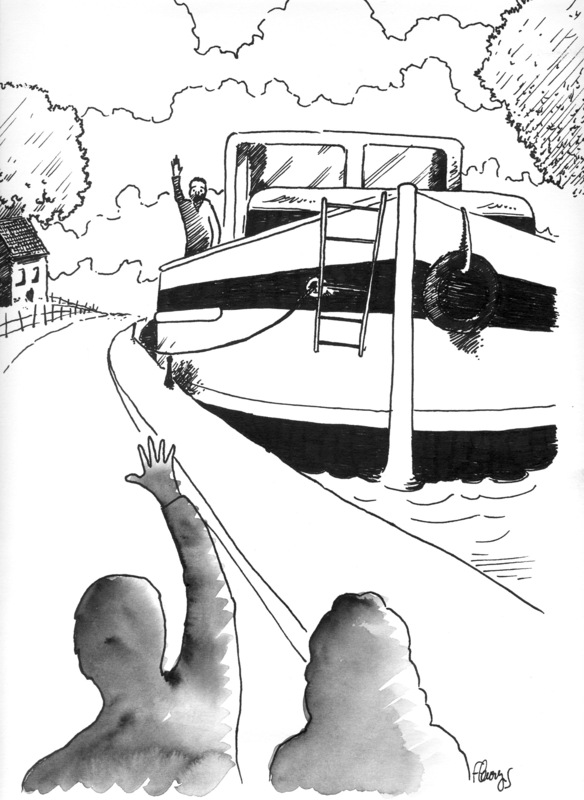 Every year, at the onset of autumn, we are on our barge. It is time to anchor it until the end of winter and we have become used to do everything together: Vincent, Stéphane, Christophe, Anne-Isabelle, myself, and a few others. At a snail pace, we sail up the river up to the canal Saint Martin, up to the sources. 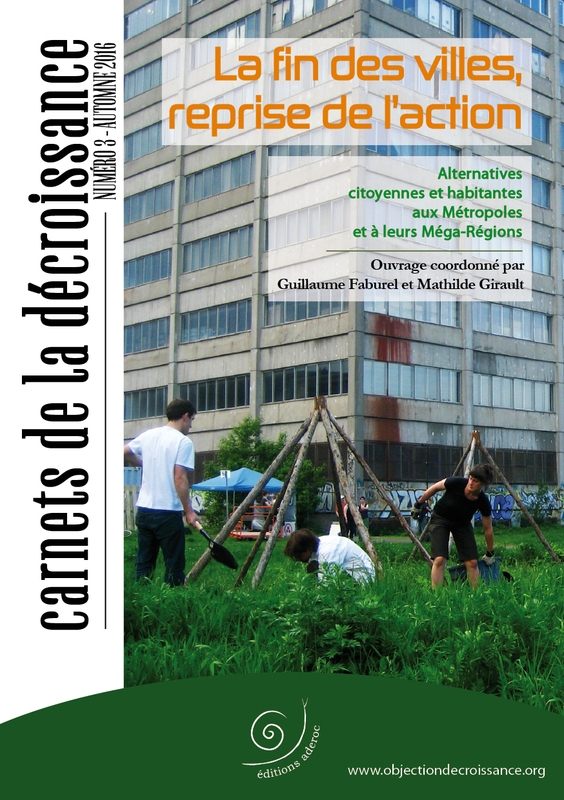 Publié dans Degrowth	| Commentaires fermés sur « A Degrowth Project » : Yesterday’s utopia has become today’s reality! Vincent Liegey : “The freedom to consume is a costly illusion” – A Degrowth Project in Bastamag. A Degrowth Project – Manifesto for an Unconditional Autonomy Allowance, Utopia. Vincent Liegey, Stéphane Madelaine, Christophe Ondet Anne-Isabelle Veillot. “ […] the prerequisite for the transfromation of the economy is “ a strong adhesion from all and a participation to this desire for change”. That is the least … But we have to start somewhere and this stimulating book contributes to it undoubtedly”. Hervé Kempf in Le Monde. “ And the success of the book may suggest that “transition is well underway”. Emmanuel Daniel in Slate.fr. The CEU Weekly met with Vincent Liegey, co-author of “Un projet de Décroissance”, to discuss the degrowth movement, relocalization and the questioning of norms. CW: Could you summarize degrowth as an idea for someone who has never encountered it? The idea of degrowth has always been a strain green thought, but what exactly would degrowth mean for our economy, society and relationship with the planet. Does degrowth provide the answer to the social and ecological crisis? 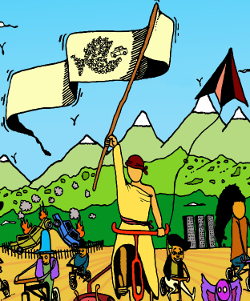 Given the convergence of interconnected crises, which one could call an anthropological crisis, degrowth, a catch-word for a recent explosion of thought and socio-economic experimentation, aims to initiate a democratic and peaceful transition to new models of sustainable and desirable societies. This is what we have tried to elaborate upon in our collective work “A Degrowth Project-Manifesto for an Unconditional Autonomy Allowance”. Thus, based on our discussions, debates, experiences, and proposals, we support the establishment of an unconditional revenue, issued in non-monetary drawing rights on resources and access rights to public services, in addition to monetary allocations in local currencies rather than in Euros. Advocating for degrowth in the midst of soaring unemployment, isn’t it indecent/absurd? Growth does not ensure full employment: it’s a myth. Over the past forty years, GDP has grown but so has the unemployment rate. Imposing austerity, which has devastating human consequences, and hoping for growth to return, while turning a blind eye to ecological collapse is simply irresponsible. We cannot grow infinitely in a finite world. Vincent Liegey, a qualified engineer and a PHD student in economics is a member of the Parti Pour La Décroissance (Degrowth Party). He co-authore : Un Projet de Décroissance: Manifeste pour une Dotation Inconditionnelle d’Autonom. He is answering questions from Sarah Alzieu about his perceptions about gender. Sarah Alzieu: Do you feel any specific responsibility towards the promotion of subjects relating to gender discrepancies? Vincent Liegey: I am a Growth objector and, as we often say, the first degrowth must be degrowth in inequalities. 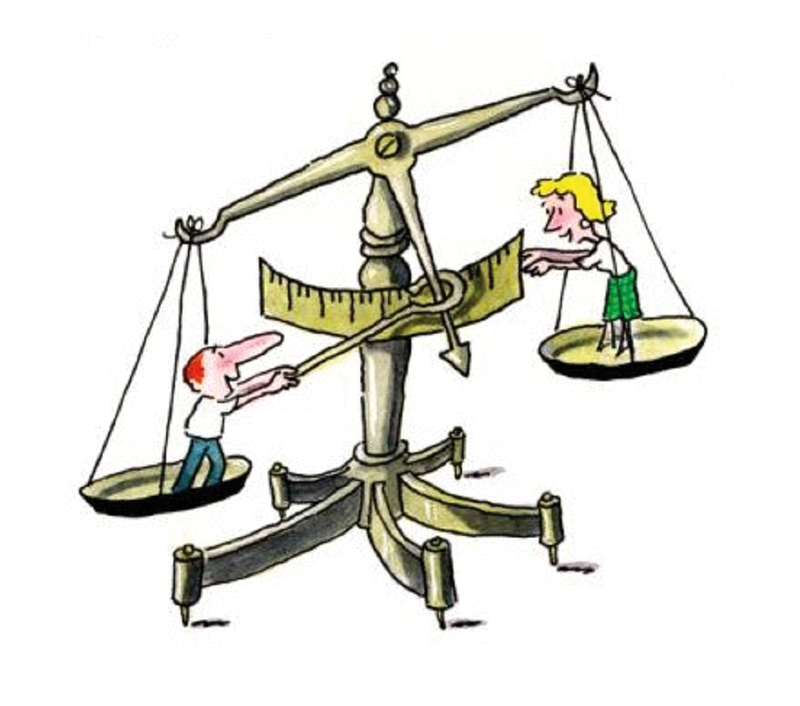 Thus, I feel responsible for all forms of injustice and inequality; this automatically implies that I must have a position on the fight for gender equality… In a society where money is paramount, it is essential: as example loaded with a strong symbolism, I can mention wage discrepancies between men and women. In total rupture with the equation: Growth=jobs=wellbeing, some authors propose to “decolonise our imaginary” in order to leave the “religion of Growth” with its productivist corollary. “Whoever believes that growth can be infinite in a finite world is either a madman or an economist?” deplored the American economist Kenneth Boulding 40 years ago. Today we wonder if our leaders aren’t fools advised by economists. Indeed, in 1972 a report from the Club of Rome The Limits to Growth called for “a stop on growth”. Ever since from an ecological and economic standpoint, the limits of growth have endlessly been pointed out. Yet the overwhelming majority of politicians continue to see it as the be all and end all of every political project. In their view, salvation depends on an increase in GDP and all the diverse governments’ public policies are designed around this indicator. “My objective is employment, my guiding principle is growth”, François Hollande affirmed recently. But the president is wrong on the destination as well as the pathway to reach it. That is what the four authors of A Degrowth Project: Manifesto for an Unconditional Autonomy Allowance argue.